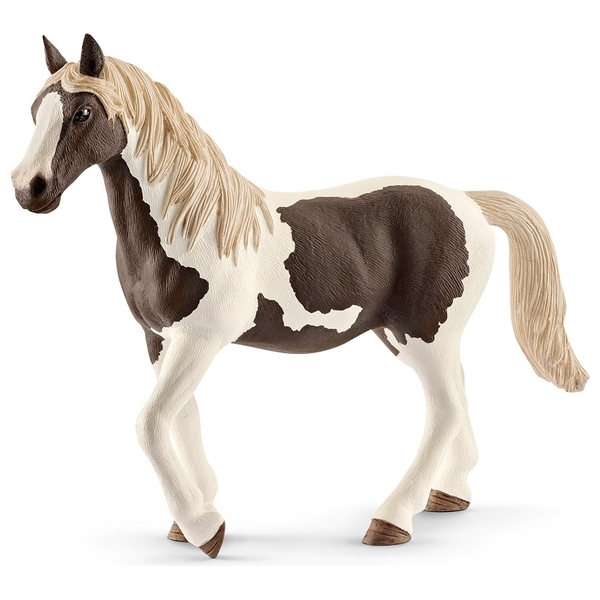 All Schleich figures are lovingly hand-painted with detailed modelling and allow children to learn as they play. Pinto horses were much loved by American Indians, because their coloured coat served as great camouflage. In the summer they preferred dun horses, chestnuts and sorrels. In the winter they rode on white Pintos. They were difficult to make out against a snowy landscape. From a distance, the pattern on the Pintos' coat seems to merge with the landscape.